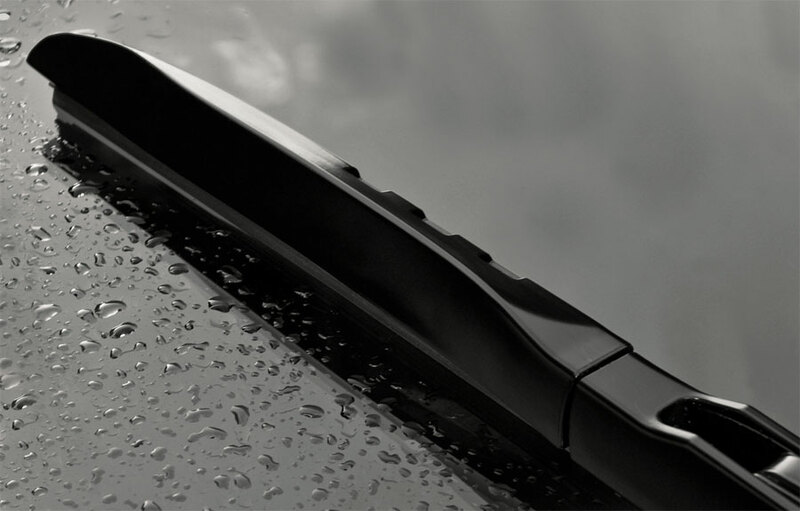 When snow or ice coats your windshield, don’t use your wipers to wipe it off. Remove it with a scraper or brush before driving. Wiper linkage is fragile and will break under heavy loads. Have your car’s wheel alignment checked at least every two years. Always check it after bumping a curb or buying new tires. Vehicles out of alignment wear out tires, negatively affect handling and reduce gas mileage. When driving around town in cold weather, gas mileage decreases by five-to-ten percent. That’s because your car doesn’t run as efficiently with a cold engine using winter fuel. 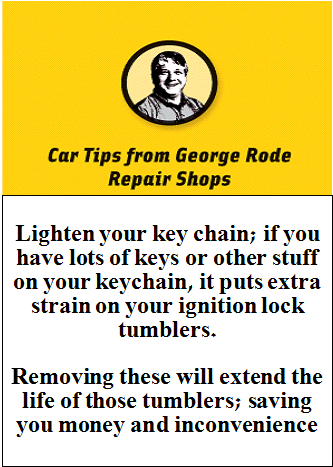 Combine your trips to save gas and regularly check your tire pressure. If you must park your vehicle under trees, make sure that leaves and needles don’t accumulate in your car’s cracks and crevices or in the cowl in front of the windshield. Lift the hood and clean it out or else drains may plug and rust components. When leaving your car, lock the doors with the windows up. Don’t leave valuables in the car, store them in your trunk. Never place your garage door opener near your registration – it’s an open invitation for thieves to rob your home. Most vehicles have cabin air filters. These filters are designed to create fresh, clean air for passengers. They should be replaced every 15 to 20-thousand miles… about the same schedule as your engine’s air filter. Check your owner’s manual to determine whether you should use regular or premium fuel in your car. There is no reason to use premium if regular fuel is recommended. Using premium will not increase fuel mileage. Never leave your vehicle running unattended, even if it’s just parked in your driveway or in the parking lot of the local supermarket. And, it’s not a good idea to leave your keys in your car either. Don’t give thieves an easy opportunity to steal your vehicle. 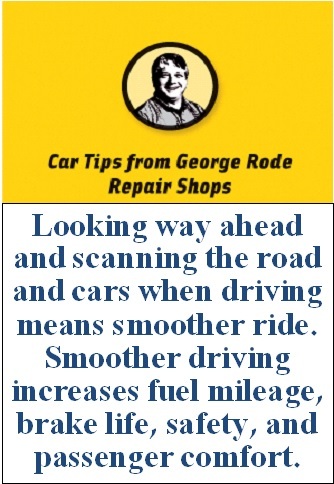 Here’s how to increase fuel mileage. Don’t warm up your vehicle before driving. 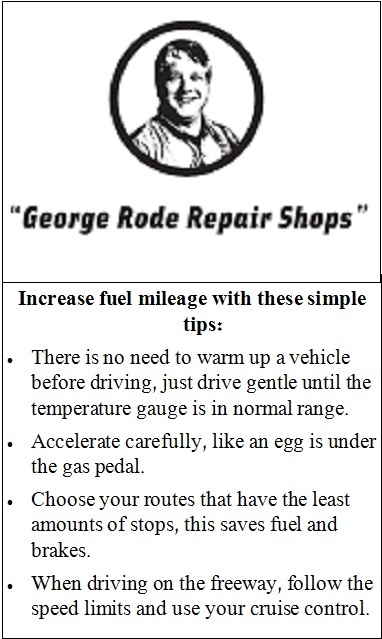 Use a gentle touch – like an egg is under the gas pedal – until the temperature gauge is in the normal range. Choose a route that has fewer stops… that saves gas and brakes. 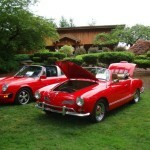 Getting your vehicle ready for summer driving.